Evolve is set to be released on February 10th and we had the chance to sit with Chloe Skew from Turtle Rock Studios to talk about the game that has been creating a lot of buzz since its initial announcement. After what was a short delay, Evolve is now less than two weeks away from release. Luckily we had the opportunity to sit with Chloe Skew from Turtle Rock Studios and fire a few questions her way regarding the game's development, its future and the team at the studio. WKG: Evolve itself has been around for a while, but where did the actual idea for the game come from? Were you inspired by any pop culture? Well I think that the idea for Evolve was there before Left 4 Dead. They sort of tried it out in a way in Left 4 Dead with tank battles and kind of were like ok maybe this can work if this was controlled by a person, so I think that’s where it sort of solidified the idea that, "yes this can work" and of course with any sort of monster movie, it’s the us versus them and the monster is always the other, but what if you could be the boss? What if you could be that giant thing and see things from a different perspective? So there's definitely a precedence in pop culture. WKG: For some reason the first thing I had in my head was Ghostbusters and I'm not quite sure how that relates? I guess its because its four people against one big ghost. WKG: I was close right? WKG: So how did it finally feel to go gold, after delaying it the first time around? I would say that many fans including myself and don't quote me on this, cried themselves to sleep when it happened, so how did it feel to get that finished? It was really great, I mean we really needed that time. Phil and Chris came up with this game because it was a game they wanted to play. They were like, "nobody's made this so why don't we do it?" So it was really important to them to put something out that they could be proud of, that they felt it had everything in there that they wanted to get in there and that it was polished, balanced and good. So really getting to that point was wonderful, we were really excited in the studio. We also had a no shave till ship going on as there were some guys that we dying to shave their beards all year, so they were really excited, but from the game perspective it was quite a relief. Its not like anything stops really... we get to keep testing and the beta was something we went straight in to, so it was pretty much yay gold now back to work, (laughs) so we'll have more of a chance to celebrate after launch hopefully. WKG: When you had the general idea of the game down, hunters vs monsters. How did you go about deciding what kind of games modes would go into it to make the game more challenging? From what I understand it happened before I was with Turtle Rock. I think it was one of those things where it was like, we need more variance in the game to increase its replayability, so one of the game designer's who wasn’t originally hired for that decided that he wanted to be the champion of modes and was like "yeah I want to run with this" and he came up with a lot of stuff and really took charge on pioneering all that. We did a live stream with him and he got to talk about all his modes, unfortunately we had a bunch of recording errors, so it never happened. I need to do that again because Clancy has a lot to say about it and I feel like it sounds a lot better coming from him because its his baby, so Nest, Defend, Survival and Rescue are all very different and its that extra objective or that extra thing to keep in mind that I believe provides that extra challenge that people will enjoy. WKG: I mean were there any zany ones that were left out because it was a bit too much? Or would have been hilarious if it was left in? You know I haven't heard about any... not modes. We had some strange monster ideas that didn’t happen, but modes we pretty much started slow, so we have four of those in and that’s a good place to start and maybe if we try to add more then we might get some outlandish ideas. WKG: So how simple or difficult was balancing the game because if someone tells me its 4 vs 1, I would automatically think, hmm... that's a bit unfair isn't it? So Turtle Rock the way they develop is that they get something playable as soon as possible and they go " is it fun?" They add more stuff in and again "is it still fun?" The balance is something that's been tweaked since the beginning and then once we figured out that we should have four classes, so there's different needs met by different characters and its consistent, that’s when the balancing really started to fall into place. Its really a lot of trial and error, we play for an hour in the studio everyday and sometimes we have additional testing as well. We play different combinations, we play different groups against different monsters, and we just try it out. We'll go "hey we think this is a little bit too strong" and then we go "why don't we lower the health, but regenerate the armour more and slowdown this attack or balance that?" There's a lot that goes into it and Chris has quite an impressive mind for it and he sees that balance like the matrix. It's really cool, Chris is like the balance whisperer (laughs) and it requires a lot. He's our fearless leader. WKG: Would you be looking to add more monsters or hunters through future updates? Or even more game modes? We're going to see how it takes off and how people respond to it. We have a really great community all ready and we're really grateful for their support, but we're going to have to wait and see what happens after launch. We definitely have plenty of ideas and things we want to see happen, so if the community wants it, we'll make it. 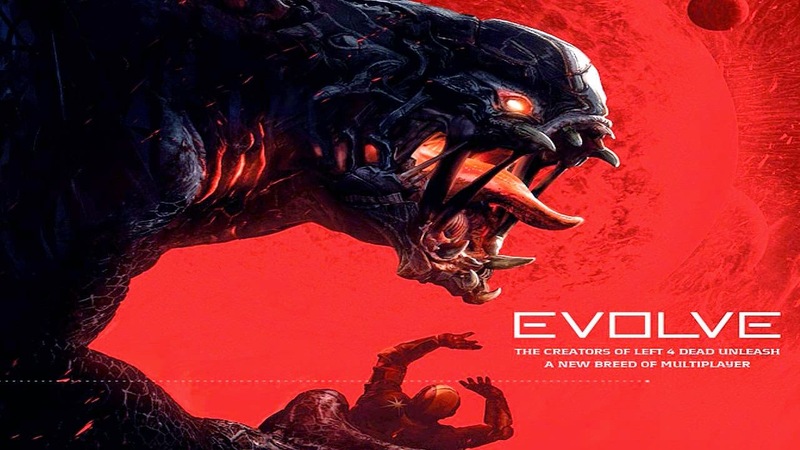 WKG: Its been a really interesting journey for the team and now with the game so close to release, is there anything you want to say regarding Evolve or its potential future? Just kind of recognizing the team that we have. Turtle Rock is a small studio, there's only 90 of us and everyone I work with is really passionate about the game, we all care a lot and there's a lot of collaboration that happens, even with people that have nothing to do with one thing will be like "hey what do you think about this?" and bounce ideas off each other in different departments, so there's a great cohesion and passion in the studio and I think that’s the reason why we have such a cool game that people are excited about is because the passion that Phil and Chris have that sets the tone for the rest of the studio really comes across... so yeah.